On February 19th, 1913, a small group of dedicated "out-of-doors showmen" met at the Saratoga Hotel, in Chicago, IL. Those present agreed that the time had come for an international organization that would cater to the needs and wishes of carnival people everywhere, through good times and bad. Thus, The Showmen's League of America was born. U.J. "Sport" Hermann chaired this historic meeting. Under his stewardship, committees were formed and a slate of Officers and a Board of Governors were created. 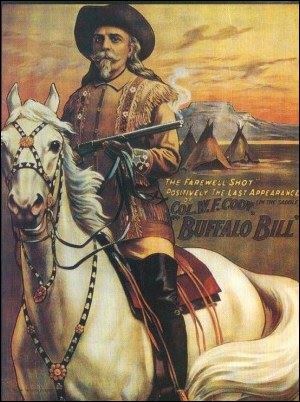 Colonel William "Buffalo Bill" Cody, famed "Wild West" figure and showman was elected the League’s first President. From the very beginning, The Showmen's League of America promoted friendship and good fellowship among its members. Charter members pledged to care for their industry's needy, those who were ill, destitute or without family support. The League also provided burial space and service for those without a final resting place. At the first meeting, the Showmen present contributed $1,385.00, an impressive sum in those days, to get the League established. They also selected the elephant as the symbol of their League, describing their choice colorfully: "The elephant in rampant, with uplifted trunk, exemplifying in every particular the characteristics of the showman, not only alert and sagacious, but victorious as well". On March 15, 1913 the League held the first banquet, an event that has since become an annual tradition. At the initial banquet the group's bylaws were framed. In the new Millennium, League leadership continues the social and fraternal purpose of the club by sponsoring an annual Christmas party for 1800 mentally and physically challenged children each year in the Chicago area, providing a total of over 1.3 million dollars in scholarships for students over the years, as well as conducting events at industry trade shows and conventions.